but seem to be closed with no answer. I have the same exactly problem. Number of recently opened apps can be increased fine, but jump list is limited to 9 and trick with added registry key work only when I right click app icon on task bar and not in the start menu. I do not have this problem with start8, over there it works like a dream. I have forwarded your problem/question to Stardock Support team for their assistance. Please keep an eye on this thread for any updates. We appreciate your feedback and patience. I forgot to mention that I have also my laptop running Windows 10 with start10 on it, and it suffer same exactly problem with jump list. jump list is limited to 9 and trick with added registry key work only when I right click app icon on task bar and not in the start menu. 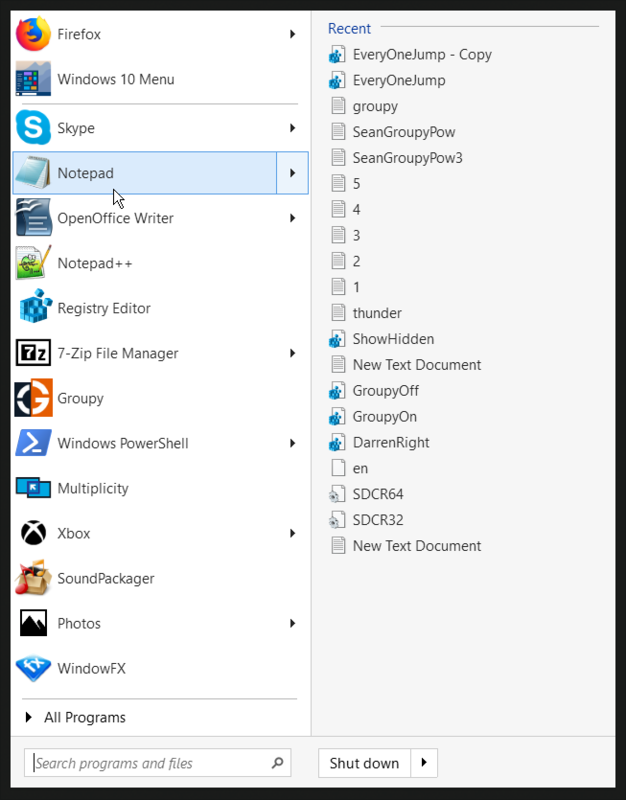 Sean, it works only when I click application icon on the taskbar and not in menu. I don't need your software to use taskbar features. Start10 seem to need this to be fixed as I have spoken to my colleges and not just my but every Start10 suffer that limitation. Is there any progress improving jump list? Two months have past since I started this thread. Nothing on it so far. I have forwarded again your problem to Stardock Support team for their assistance. Be reminded that Stardock will be on holiday until 2nd January. Please check up the notice posted above for details. Please keep an eye on this thread for any updates. We appreciate your feedback and patience. Nothing on it so far. With Neil's help, we think we have it. If you need to change it more, it is better to edit the reg file and rerun it unless you are comfortable with editing your own registry. Changing the 15 to something else (doing so in Notepad is fine). Your solution does the job perfectly indeed! Thank you very much!